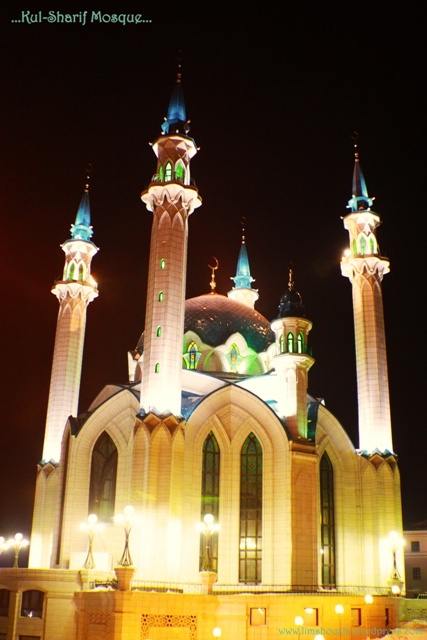 Kazan, capital of Republic of Tatarstan, Russia and the 3rd capital of Russia Federation, currently the 8th largest city in Russia. 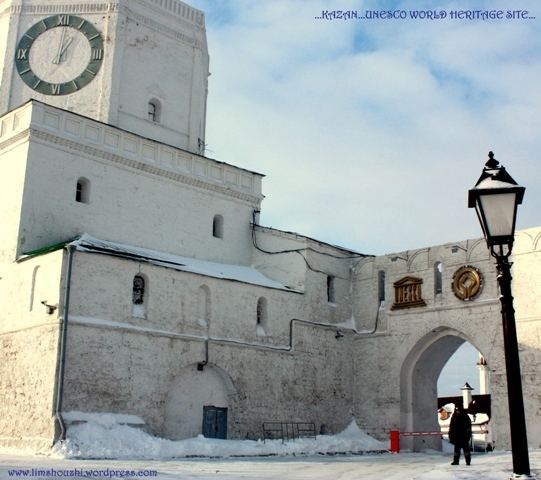 Built since a thousand years ago, and the Kremlin was named under the list of UNESCO World Heritage in 2005. 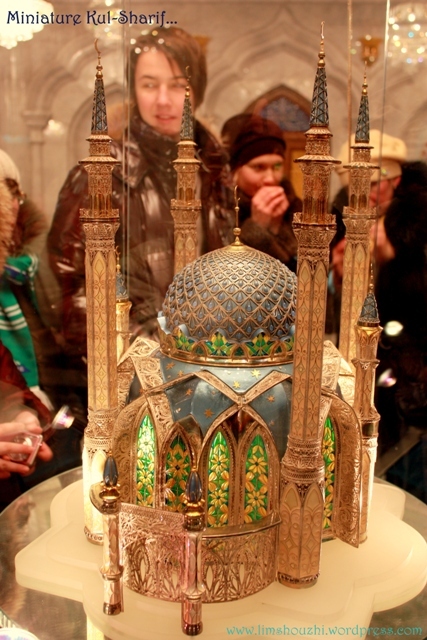 Majority of the population here are Tatars, and they are Muslims. 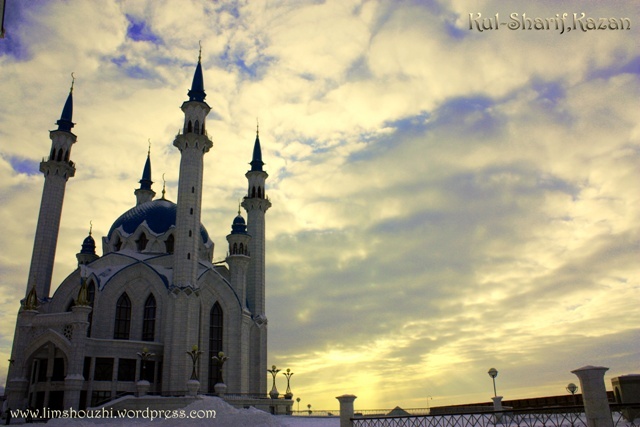 So travelling in Kazan seems like exploring the Islamic Center of Russia, the city which never failes to entertain every visitor with different kinds of livelihood. 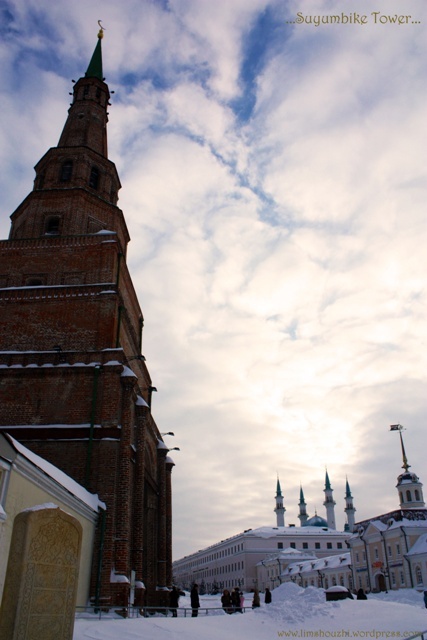 I’ve heard of Kazan since my 1st year of medical study here, but I never find an appropriate time to have a look at it. Last summer, while I was travelling with Xiangyun’s family to Kuala Terengganu, Malaysia, the miniature Kul-Sharif Mosque attracted my attention while I was visiting the Islamic Civilization Theme Park. 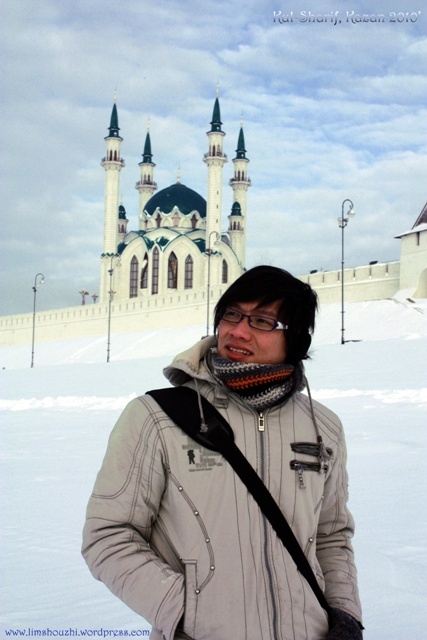 So, I decided to visit Kazan during this New Year holidays. 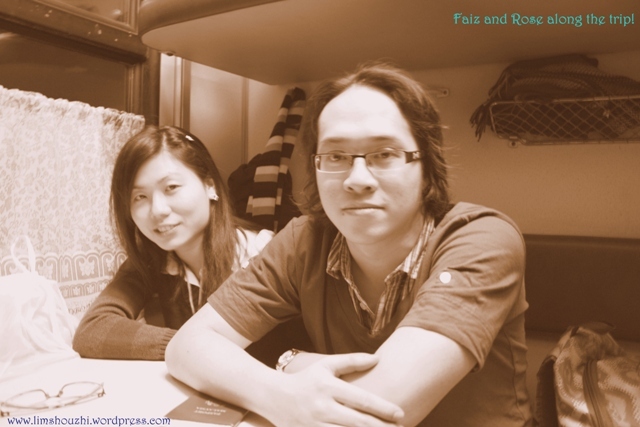 Together with me along this trip were Faiz, Jatdeng and Rose. The schedule of the train was so good. 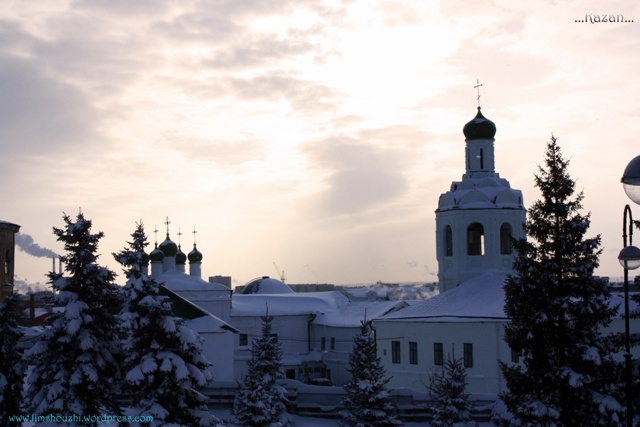 We departed from Nizhny Novgorod on 3rd of January 9.15pm and we reached Kazan on 6.15am. 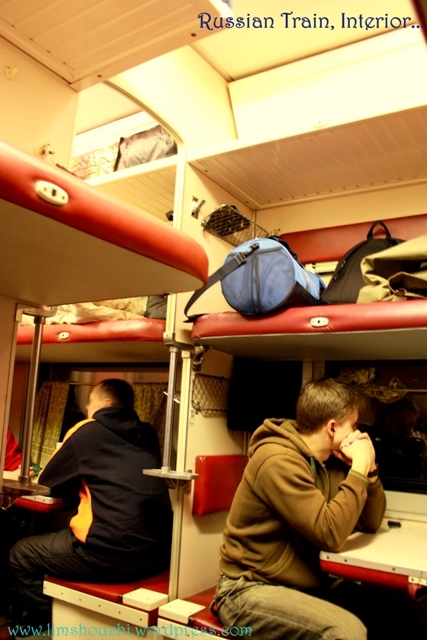 Along the journey, it was quite hard for every one of us to get some sleep, maybe because of the over-excited mood or the train’s condition wasn’t so favorable to have a good sleep. 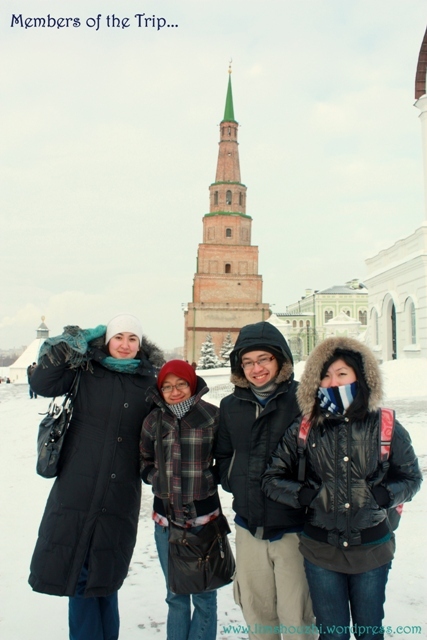 And upon our arrival, we were totally exhausted and cold because what welcome us 1st at Kazan was -20c’ temperature! 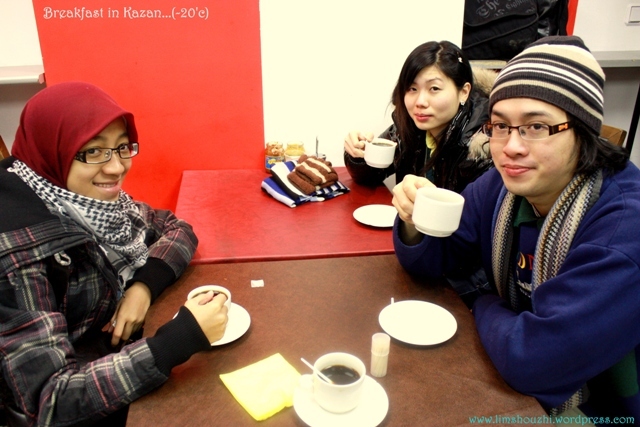 First thing to do in our mind were to find a shelter and a cup of warm coffee to warm up ourselves before heading to our hostel. Lucky for us, there’s a café which operated 24hours daily just in front of the train station! We took some light meal at the café while waiting for the sun to rise. As for me, hehe, I snatched every moment I can to capture every single nice picture from every fine angle. I think getting to the hostel was the most ‘memorable’ moment. After we finished our breakfast, we were heading to our hostel! Oh gosh… it was so far away from the center… From the description on the printed paper that we got, the hostel was about 10 bus stops away. But it turned out to be more than that… in this freezing condition plus the heater on the bus wasn’t working properly…zzzzzz…. It was no different than sitting on the ice-tube…In my opinion, the public transport in Nizhny is better than in Kazan, better bus and more buses are available compared to Kazan. 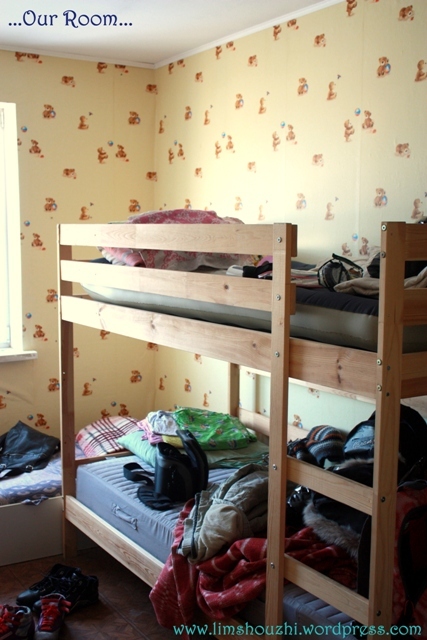 Finding the hostel seemed like having a treasure hunt in the north-pole. After we got off the bus, we had to walk quite a distance to reach our hostel. 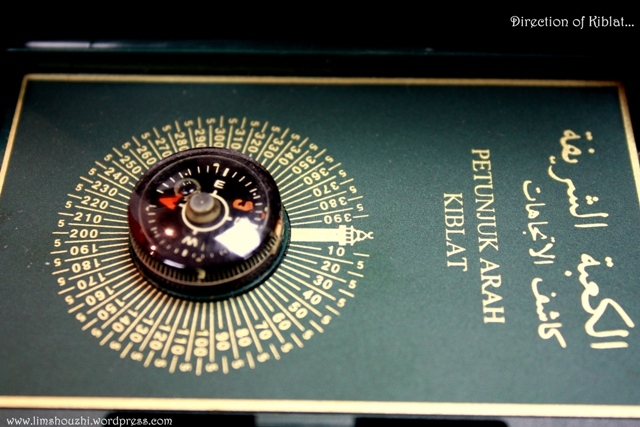 It’s situated in the housing area and without any signboard, finding it alone had cost Jatdeng so much just to call the owner. 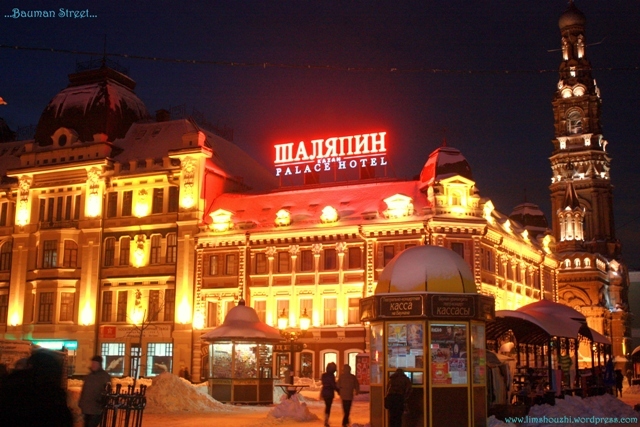 I think a two-days-one-night trip should be enough to explore the whole Kazan, the city is not big, but it is very beautiful and easy to travel as all of the main attractions are within walking distance and they are very near to the train station. 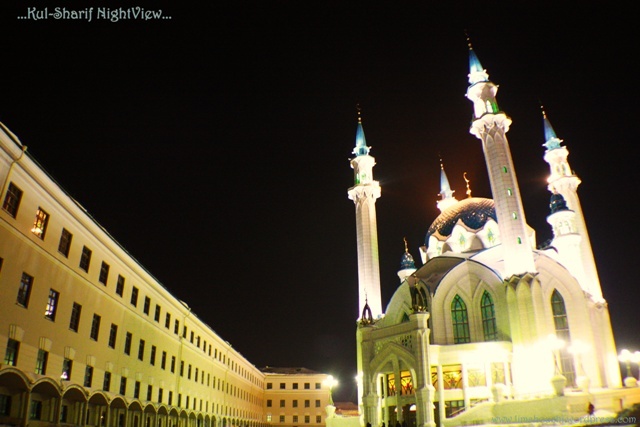 There’s a good thing about travelling in Kazan that is you can take pictures wherever you like for example in the museums or the mosques although there’s signboard that mention “pictures are not allowed” in the museums and the mosques. 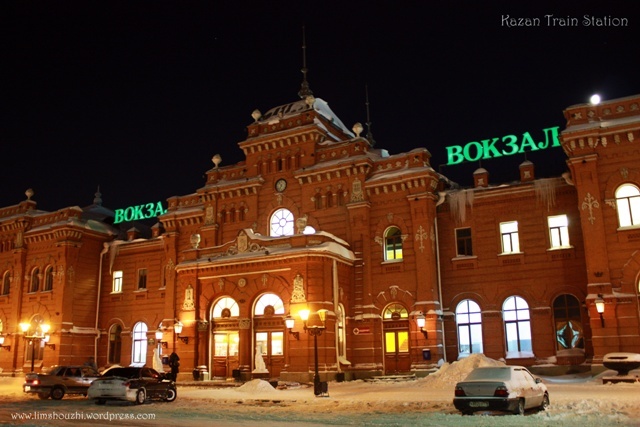 The train station itself already is the tourist attraction, it is built with red bricks, and it looked just like what we saw in the Red Square of Moscow. 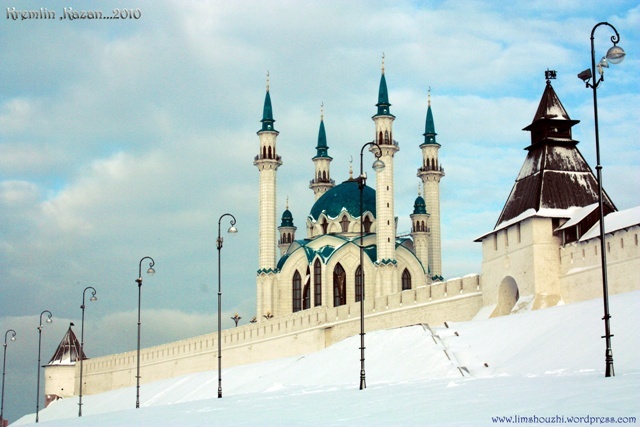 Kazan Kremlin, once a Tatars fortress. 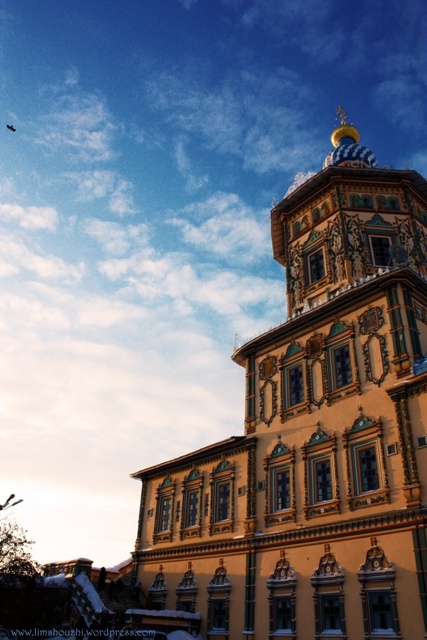 Well, this is the main and the most important tourist attraction Beside it’s overwhelming and great outlook, there are also Kul-Sharif Mosque, Suyumbike Tower, Annunciation Cathedral and State Hermitage Museum of Kazan inside the Kremlin. 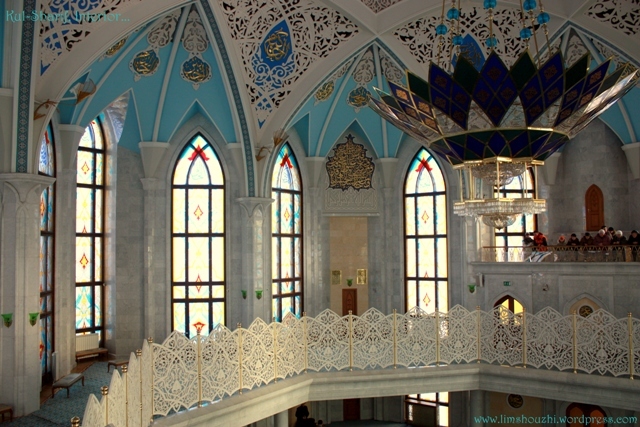 Kul-Sharif Mosque, named after the 16th-century Tatar imam who died defending Kazan from Ivan the Terrible’s army, the Kul-Sharif Mosque was completed in 2005 after ten years of construction. 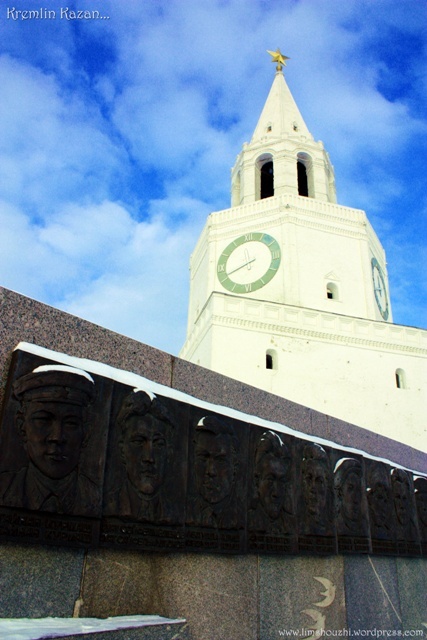 It is located within the Kremlin walls, making the Kremlin facility now a symbol of multicultural harmony in multiethnic Tatarstan. 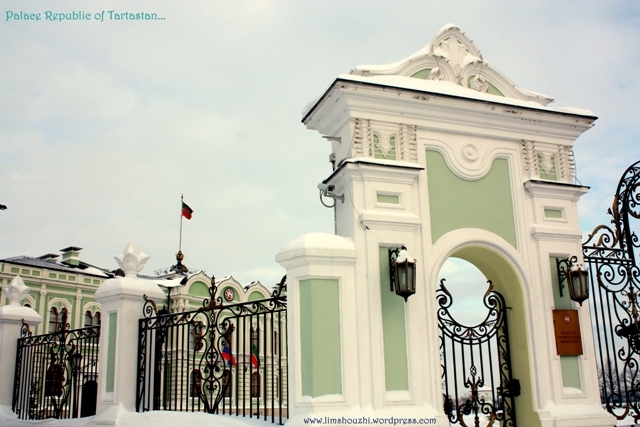 It was so nice and pleasant walking around in Kazan Kremlin. Try to spend some time to observe every part of it, and you will discover that each part of it play their different roles in order to make the Kremlin looks lively and lovely… hehe! But not in this very extreme cold weather, it was too cold for us to have a ‘pleasure’ walk, we just glanced thru every part of it and we took as many pictures as possible along our way. 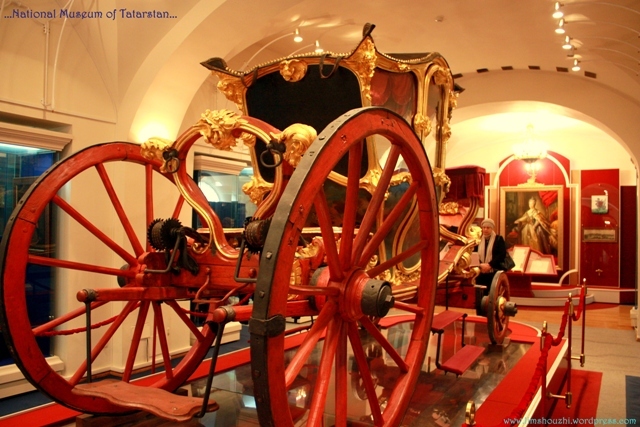 Don’t forget to pay your visit to the National Museum of Tatarstan which is just located in front of the Kremlin. 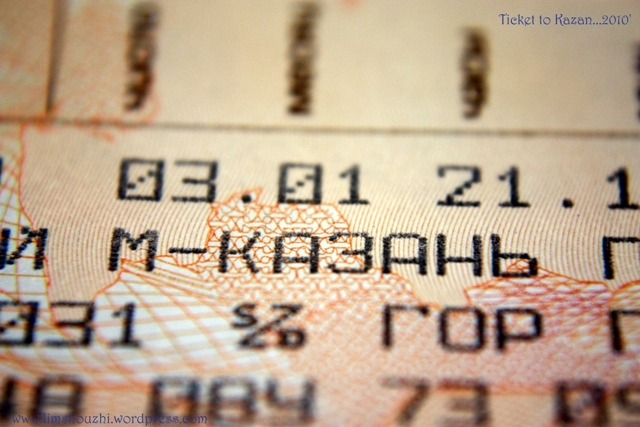 For student who have Russian student pass, your entrance fee is 40rubles, otherwise you have to pay 120rubles to enter ;). 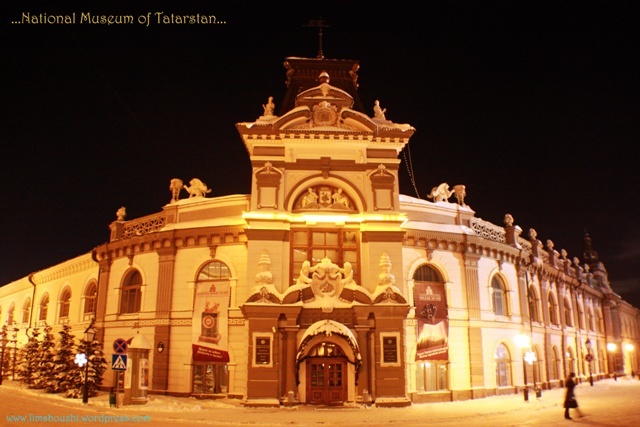 So, the museum illustrated all the Tatars culture and their way of living from the beginning of the civilization. 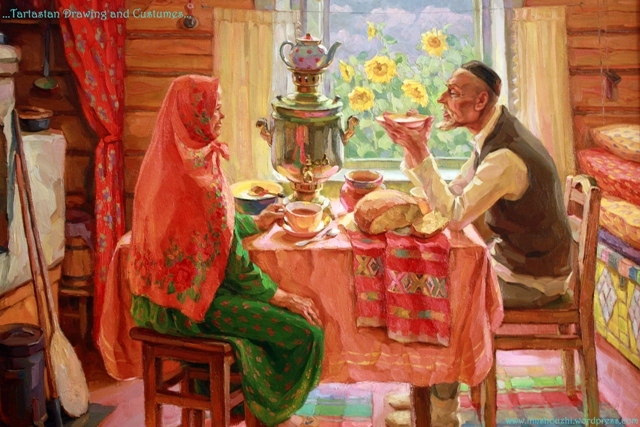 Besides that, there are also some Tatars drawing which are worth glancing through. After the Kremlin, we then walked down to Bauman Street. It’s a walking street which is similar to Arbat Street in Moscow. Here, you can get all the souvenirs you like. And don’t forget to take some pictures for your memories there. Along the way to the Bauman Street, there is another orthodox church, it’s a very old and famous church, but I can’t really remember the name of this church, sorry ya, but I’m sure you will see it along the way to Bauman Street. The church is orange in colour, and the window edge was decorated with flowers craft. 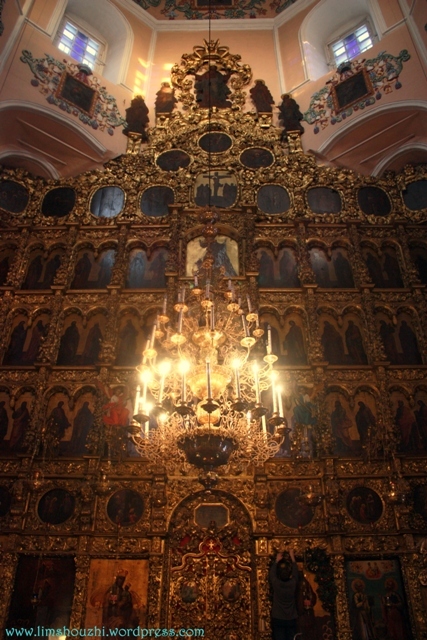 Interiorly, there’s a big golden altar at the middle of the hall, a very classic orthodox church and is worth paying a visit there. Along our journey, we were so lucky that we met Yulia, a couch-surfer who is also a friend of Jatdeng’s. 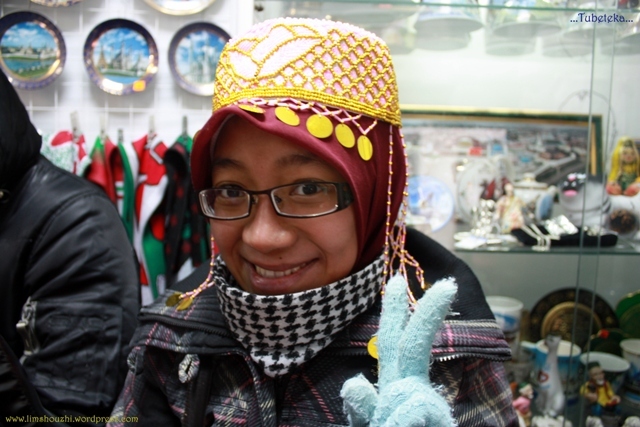 Thanks to her for showing us around Kazan city. Without her, I can barely imagine how we going to travel in that super extreme weather ourselves. Thanks Yulia for your excellent hospitality while we were in Kazan ;). 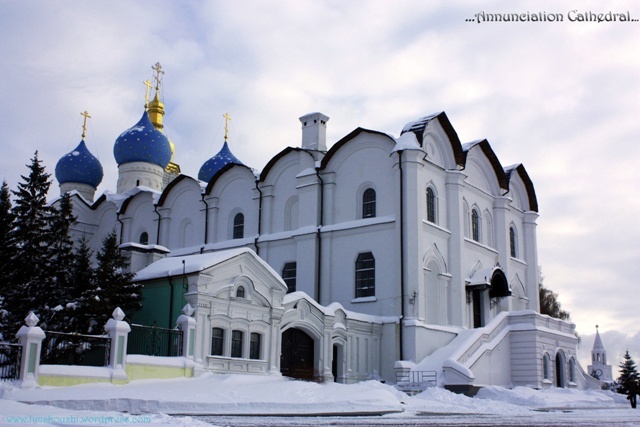 This entry was posted in Photography, Travel and tagged Annunciation Cathedral, Barcelona, Bauman Street, Champion League, Inter Milan, Islamic Civilization Theme Park, Kuala Terengganu, Kul-Sharif mosque, Malaysia, National Museum of Tatarstan, Nizhny Novgorod, Red Square of Moscow, Republic of Tatarstan, Ruben Kazan, Suyumbike Tower, Unesco World Heritage. Bookmark the permalink.